Omar joined Watsi on July 26th, 2017. 9 other people also joined Watsi on that day! 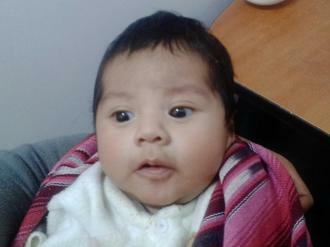 Omar's most recent donation supported Edwin, a baby from Guatemala, to fund malnutrition treatment. Omar has funded healthcare for 10 patients in 4 countries. 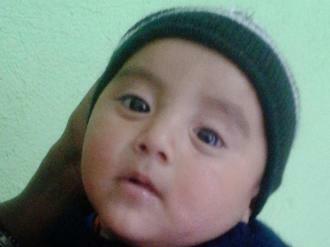 Edwin is a three-month-old baby from Guatemala and the second child in his family. His mother works at home to take care of the family, and his father is a day laborer. 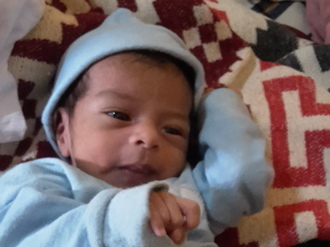 Edwin's mother cannot produce breastmilk, so Edwin is underweight and small for his age. As a result, he often cries from hunger, and his mother uses the only substance she can afford––warm sugar water––to soothe him. This limited diet is insufficient and has dangerous implications for Edwin’s health. Lactation failure can lead to starvation and dehydration. It can also provoke electrolyte imbalances that cause seizures. Brain development occurring during this delicate time is compromised, and Edwin is at risk of long-term damage. Fortunately, lactation failure is easy to treat. 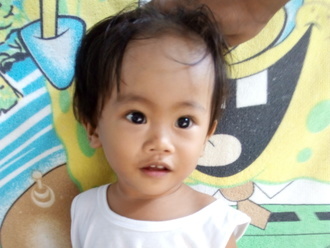 By supplying Edwin with formula and his mother with health education, our medical partner can provide Edwin with the calories he needs to grow and thrive. One-on-one education with Edwin’s mother will teach her how to provide a nutritious, inexpensive diet for her son. She will also learn to check for signs of malnutrition and other illnesses. Edwin’s immune system will strengthen, and he will grow up to be a healthy, energetic baby. However, due to the family’s lack of resources, they cannot afford their son's treatment. For this reason, our medical partner, Wuqu' Kawoq, is requesting $1,162 to fund the treatment, which is scheduled to start on February 27. "I am very worried about my son, and I hope that he can get better soon, for I dream for him to grow up well, study hard, and one day be a professional," says Edwin's mother. 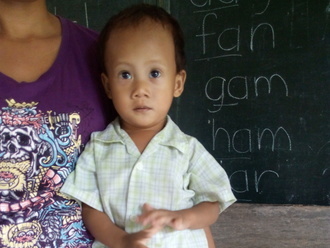 Meet Nathaniel, a young boy from the province of South Cotabato in the Philippines. Like most young boys, Nathaniel loves to play with other children in his neighborhood. Nathaniel has been diagnosed with malnutrition. This means that his body does not have enough energy and nutrients for growth and maintenance. However, the good news is that malnutrition is very treatable. Nathaniel will begin a treatment program on February 20. He will be given nutrient-rich food packs, and his weight gain and growth will be monitored every week. Our medical partner, International Care Ministries (ICM), will also assist his parents in preparing nutritious meals for their son. 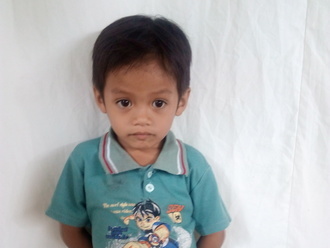 $184 will help Nathaniel recover from malnutrition. Nathaniel's family says that they hope he recovers and that "he grows up strong and healthy." Kismat lives with his parents and siblings in Nepal. He used to enjoy feeding himself and dressing independently. However, since his fall from the porch of his house, he has been unable to do these things. His left hand is swollen, and he is in a lot of pain. Kismat needs to undergo surgical repair of his fractured hand. 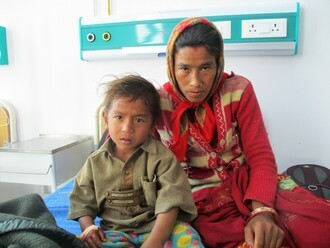 He visited our medical partner's care center, Bayalpata Hospital, where his doctors scheduled a surgery for February 27. Now, his family needs help to pay for this $541 procedure. Kismat's mother says, "I am very happy that Kismat's treatment is happening in this hospital." 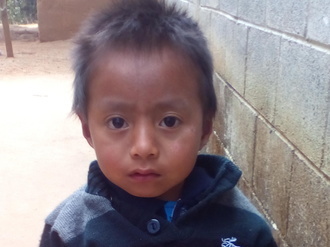 Two-year-old Lucas lives with his family in the rural highlands of Guatemala. He loves to eat bananas and eggs and enjoys playing with his plastic toy horse. His mother works taking care of their family’s household, and his father works as a day laborer. Lucas’s parents are very worried about him because he is not gaining weight. Underweight and small for his age, Lucas has malnutrition, a dangerous condition that results from consuming too few calories and nutrients. In the short term, malnutrition means Lucas has little energy to grow, and his immune system is weak. He may also face malnutrition’s long-term consequences, such as increased risk of chronic diseases, low IQ, and higher likelihood of dropping out of school. While malnutrition can have devastating effects, it is also very treatable. Growth monitoring, micronutrients, and food supplementation coordinated by Watsi's medical partner, Wuqu' Kawoq, will help Lucas recover. He will gain weight and grow taller to catch up with other children his age, and his immune system will grow stronger with the increased caloric intake. Community health workers will teach his mother to create a nutrient-rich diet, even with limited resources. Lucas's parents do not have the financial resources to pay for the malnutrition treatment that he needs. They will need help raising $782 to pay for his care, which is scheduled to begin on February 28. "I am worried about my son’s health, but I am willing to do anything to see him get better," shares Lucas's mother. "I hope that with this treatment he will be healthier." Patrick is a 42-year-old father and construction worker from Kenya. He lives in Nairobi with his two kids. This father is the sole provider for his household. His income is just barely sufficient to meet the family's needs. All three live together in a small shared rental room. Patrick worked as a construction worker until he was attacked on the night of February 25. He sustained several head fractures and is in need of a craniotomy. Our medical partner, African Mission Healthcare Foundation, is requesting $1,495 to provide the much-needed procedure, which is scheduled for February 28. Given his stalled ability to work, Patrick and his family are not able to pay for treatment. "I want to be with my children. I wish to get well and continue providing for them," Patrick shares. Heron is a five-year-old boy. He lives with his parents near the coast. His father works as a carpenter. Heron loves to play with his friends. Heron has been diagnosed with moderately acute malnutrition. Malnutrition threatens his growth and development and could even be fatal if not addressed. Fortunately, he will begin $184 malnutrition treatment on February 23. 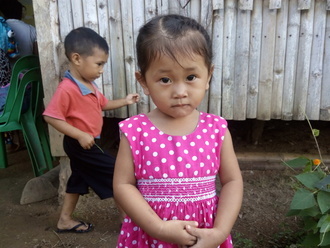 Heron will be treated by International Care Ministries (ICM), a Watsi medical partner. One out of five children under five in ICM communities is either severely or moderately malnourished. Worldwide, poor nutrition is associated with nearly half of all deaths in young children. In remote communities and urban slums of the Philippines, the lack of clean water and unclean environments add risk to potentially fatal childhood diseases. ICM’s home-based feeding program provides nutrient-enriched food packs to ensure malnourished children get additional food to regain normal weight and achieve optimum physical and mental development. After identifying a child as malnourished, staff and community volunteers make weekly visits to monitor this child’s progress. To help sustain the health of the child, ICM’s professional staff educate the mother, guardian, or other family members about proper nutrition, sanitation, hygiene, and organic vegetable gardening. Heron's mother hopes that someday her son will finish his studies.